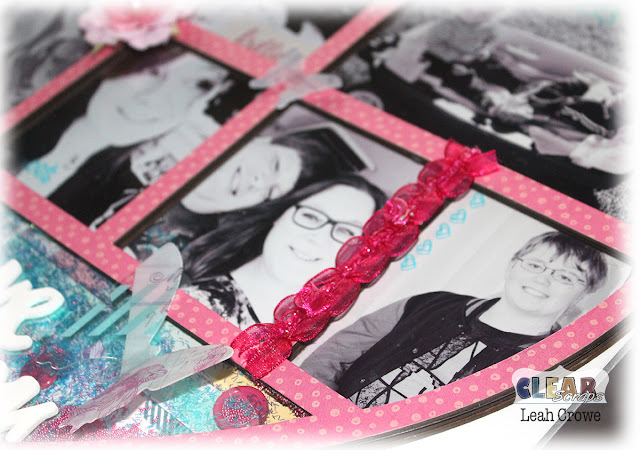 Oh my goodness, have you guys seen the new Printer Tray Frames from Clear Scraps? If not, you're in for a real treat! They remind me of shadow boxes and shakers combined into one... the best of both worlds, in my opinion. 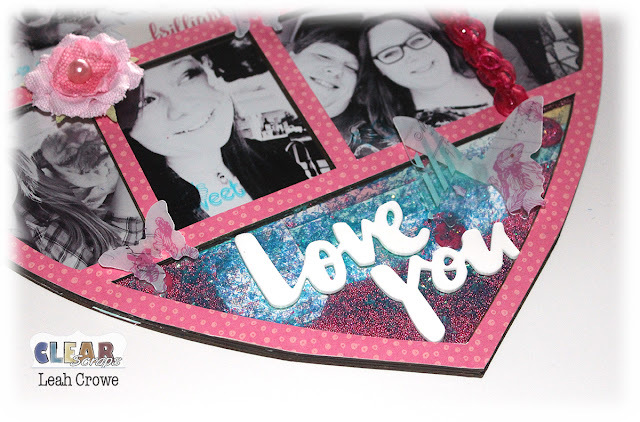 Today, I'm sharing my take on the Heart Printer Tray Frame. 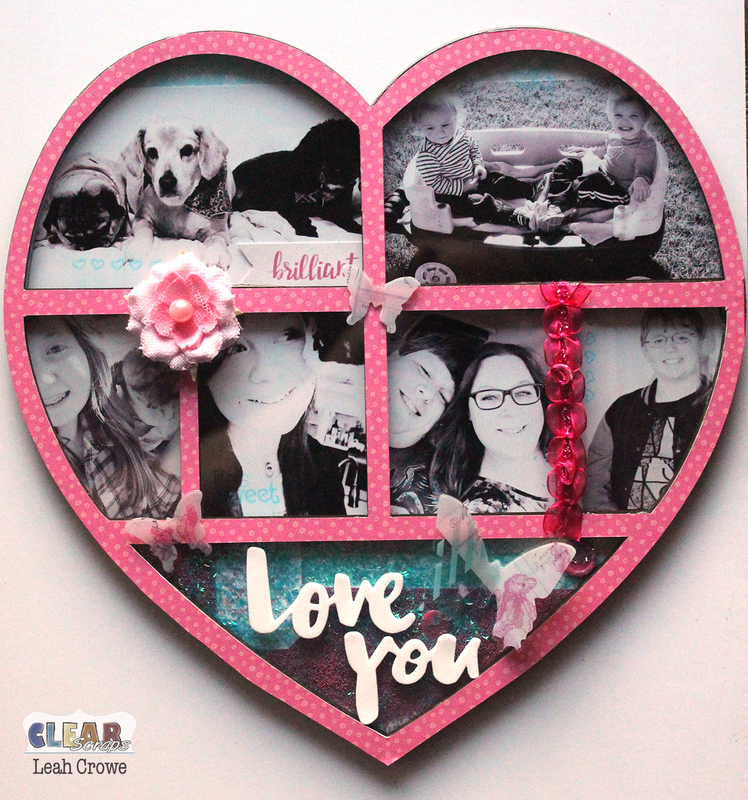 I found some of my favorite photos of the family from the last few months and added them to the chipboard backing piece. I took the top layer and adhered pattern paper and cut it out with my craft knife. I really wanted the photos to shine in this beauty. The cool thing about these is that you can create them to hang as home decor pieces. See the cute little stamped hearts? Swoon. I love being able to add stamping on the acrylic top piece. I also added some flocking and mini beads beneath the title on the bottom. After I adhered it all together, I painted the edges (not shown here) of the heart to seal it even better. The flocking was so tiny it was finding ways to escape the heart. Thanks for checking in with me today. Check back on Friday for a super fun hop!! This is just gorgeous! I loveeeeeeee it!!!!!!!!!!! aww thanks so much Julie!